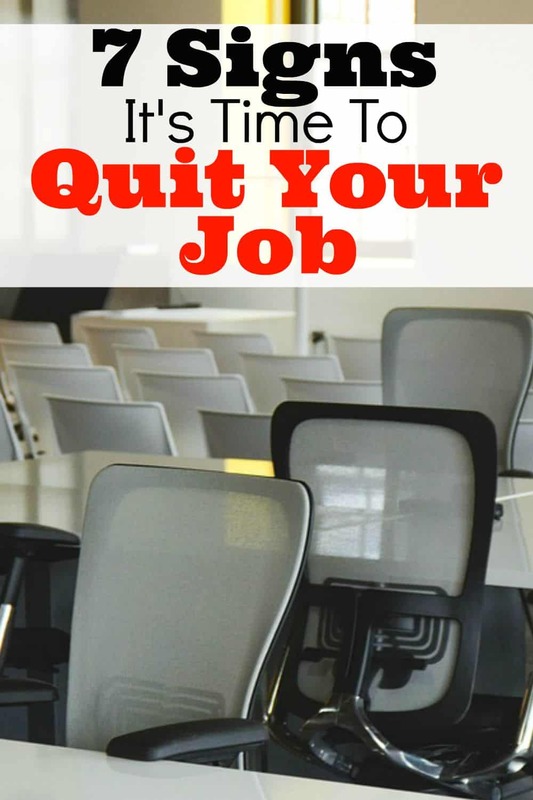 Have you ever wanted to quit your job? Well, I did it. Over the summer, I made the decision it was time to quit my job and handed in my notice. Ever the good employee, I gave over 90 days notice to help finish projects, interview new candidates for my position and make sure it would be a smooth transition for everyone. As the clock winds down, this summer has flown by and I can't believe it's almost time for me to leave my job! With one week left at my full time job, I have a million thoughts running through me head. I'm feeling the pressure to wrap up jobs, let clients know that they will have a new project manager and make sure my coworker is up to speed on all my projects. It's an incredibly stressful time and I panic thinking about how I will get it all done. On the opposite end, I am also incredibly relieved this is my last week. I've been struggling to stay focused and am distracted by all the change that is happening in my life. I'm itching to break free from my daily routine and am ready for a new adventure. Getting to this point in my career and life wasn't easy! Making the decision to leave my full time job to become a freelancer was tough, but looking back there were definitely signs that it was time to leave my job. 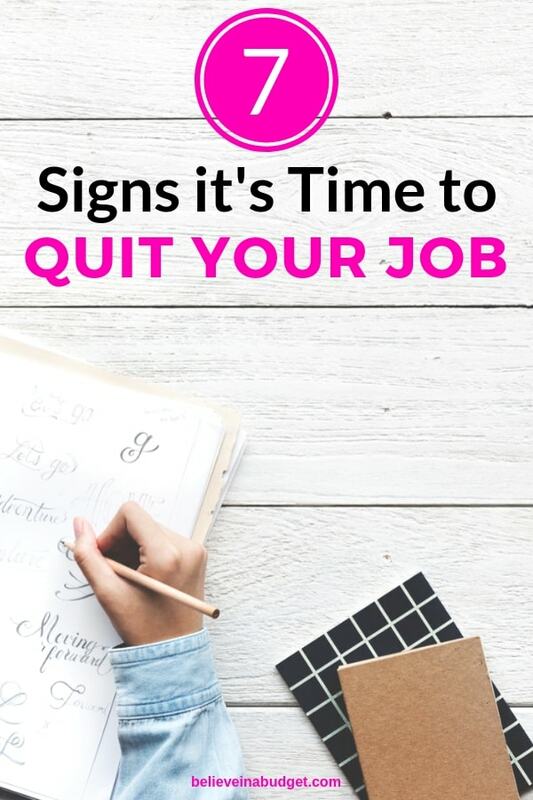 If you want to quit your job, here are seven signs it's time to find a new job or become your own boss. I love my career, but the work I do at my day job is no longer exciting to me. There's not as much creativity as I've had at previous jobs and it's become more monotonous. I dread going in and have to remind myself I can get through the work day. I used to have a sense of excitement when I started working with new clients and gratification when I completed a job, but I haven't had those feelings in a while. When it comes to sick days, vacations or the occasional personal day, I don't like having to ask someone else for approval. I dislike knowing someone else can regulate my life and tell me when I can and can't do something. If I want to be able to plan a last minute trip or need a personal day to take my dog to the vet, I want to be able to do this. It's a struggle to go through the proper channels and make sure it's ok by someone else just to do normal things! Even though I try to shut down my work day once I leave the office, it's not uncommon for me to check emails when I am at home. My work is fast paced and corporate preaches the “come in early and stay late” work vibe which I despise. There is no healthy work and life balance to speak of, and I am usually stressed out on my days off. I want to be able to walk away from job for a couple of days and not think about work. During the work week, I feel like I'm never home. Working the 9 to 5 job doesn't really mean I am gone between these hours. Instead, I give myself 30-45 minutes to get to work because of traffic, and it's usually the same amount of time to get home. My eight hour work day is more like nine to ten hours a day I am away from my home. While I am fortunate to have a roommate help with my taking care of my dogs, they are getting older and I value every precious moment with them. I have a sense of guilt every time I leave in the morning and wish I had more time with them. There are no more positions above mine, which means I've grown as much as possible at my job. The only way to do this is to find a new job, whether it's through a new company or on my own. Even though I make a decent salary and can't complain about my take home pay, I'm at the top of my ladder. Aside from the small salary increase I might receive each year or any bonuses, I am at my salary limit. I don't want to be capped with my salary and would like be able to earn more. For months I have thought about taking a leap of faith and working for myself. I started side hustling and carefully crafting it into a career. With years of experience under my belt, I'm comfortable with many different aspects of starting a business. I'm also confident enough to know what my weaknesses are and what I would need help with. I'm ready to be in control of my life and call all the shots. Starting a blog was one of the best things I EVER did for myself. I can't believe that my blog has grown so much in such a short amount of time. If you want to earn extra money and possibly turn it into a full time job, I definitely suggest starting your own blog! Looking back, all of these different signs seemed to happen for a reason and get me to the point where I am now. I believe I needed every single one of these actions to happen to me so I could make a smart and educated decision to move forward on a different path. It’s so tough when you start feeling some of these symptoms! I agree that being able to structure the day is pretty wonderful. Luckily, my job gives me a lot of freedom. As long as I can keep up with emails, I can take breaks to get things done or hit a quick doctor’s appointment. That’s great you have so much flexibility! Sounds like it was the perfect time for you to become your own boss! I also like that you can be more creative in your new work. Perhaps your old job was creative as well, but many aren’t. Lack of creativity and change are slow killers, for sure! I’m so excited for you! That was super nice of you to give a 60 day’s notice. I resonate so much with some of these reasons. I’m feeling burnt out a lot more lately from work and really need to work on managing my time. I also hate asking for things, so I pretty much started politely telling people what I was going to do lol. Like this morning, I wanted to go to the doctor in the afternoon so I emailed my boss to let him know that I was going and would finish all my work early for the day. Good thing my boss is super cool/ flexible and doesn’t question or try to control what employees do, haha. I wouldn’t be able to handle that. That’s great you have a flexible work environment! I am definitely in a more controlled work zone, so it can be tough getting time off or changing my schedule. Congrats on taking the leap to entrepreneur-ship! Oh I could only imagine doing such a thing ( I say that incomplete jealousy, not sarcasm BTW). I look forward to following your journey and fee free to provide any tips for those who may have been inspired by you! Agree with all of these! After SEVERAL years of hesitating, I finally took the leap and resigned last month. All the anxiety and regret I feared I would feel? Nothing. Nothing but peace and happiness and excitement over taking control of my own destiny. And wishing I had done it sooner. Congratulations on taking the leap! Awesome! I’m definitely experiencing the anxiety but know it will pass. It’s so liberating taking the leap! Thanks Sarah. It’s so hard for me to do the same thing daily when I’m over it 🙁 I can’t wait to do the freelancing all the time, especially after reading your blog and how you’re crushing it! Agreed! And for the record I typed out something longer but got an error, so just seeing if I can post this comment. Eek, no idea what’s up with the comments, I wonder why there is an error?? So annoying!